I have spent some time online spreading the good news affiliate marketing can bring. Some youths from my country (Cameroon) keep telling it is not possible or too difficult. Just to let everyone know nothing good comes easy. Affiliate marketing is real and is a way to earn both online and offline. It is common to see young ones moving around during summer holidays in Cameroon with items for sales such. The most common items that are being sold in cities of Yaounde, Douala, Bamenda , Baffoussam and Buea includes chains, torches, rings, phone cases, phones, dresses, shoes ,plates among others. Some of these children are from very poor families that cannot afford to get these products. So how do they get them for sale? It is very easy to get them. Not what you might be thinking. Ok just let me know what you are thinking. Ok! Just kidding. So what these smart boys and girls do is that they meet someone who has these products in his/her shop and propose to sell the products for them. If the shop owner agrees the deal, they get the products and sell at their own prizes. This guy has made money without owning a shop or product. This is how affiliate marketing is done. The shop keeper will equally reward him for every sale he makes (Commission). In addition to his sales bonus ( AKA ‘’dzama’’). New companies proposing products to Businesses and Individuals. It is very common today especially in the cities of Douala to find seminars organized by representatives of a company offering its products at no cost to resellers. They will always of cost have to get an amount in return after the product is sold from their affiliates. Just like some popular affiliate programs require payment up on sign up, some of companies usually request for an initial deposit before getting their products. Today some comanise like AIM GLOBAL,JM Ocean avenue are really online affiliate programs that have come to practice affiliate marketing +Multi-level marketing in Cameroon and are making success. This confirms affiliate marketing is real in Cameroon and people are earning from it. It is a way to do a buy and sell business (BUYAMSELLAM). What is the situation online? Affiliate marketing is also done online by Cameroonians. Enstine Muki is a Cameroonian blogger who has made some bucks online with affiliate marketing and is equally preaching the ‘’gospel’’ of affiliate marketing. I am equally into affiliate marketing and has join some programs like sharesales, amazon associates and avangate among others. It is not being noticed because few companies based in Cameroon are using this method to promote or sell their products online. JUMIA Cameroon is a place to get started with (JUMI JFORCE) affiliate program that rewards you for making sale. The e-commerce sites are getting everyone on board, bloggers are getting more people on board and Cameroon as a whole. To wrap this post up, I will like to emphasize that affiliate marketing is a great way to make money online. This is because you need to put effort to promote your products for some period of time. Once you get leads, you can even make sales while snoring on your bed or taking coffee. This is what makes it different from the offline affiliate marketing because we have to move around under the sun every day before you make conversion. 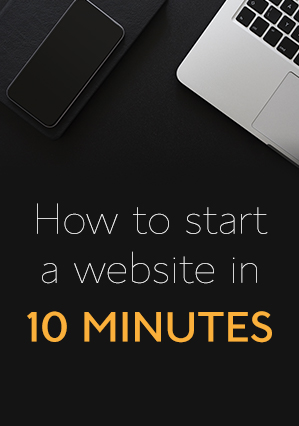 The requirements to get started are simple: Interest, a laptop and internet connection. We can guide you to selecting the best affiliate networks. Still don’t know who to get started? Send me an email to get my online marketing guide book which covers all the ways to make money online and the challenges involve. What is your story with affiliate marketing in Cameroon? Hello I am Asaa Eric Jr. I really need your help. Please send me your contact. I need a chat with you. How can I do that ?